As with any formal school, the Rocky Mountain Swordplay Guild has enacted a series of guidelines for students and members. 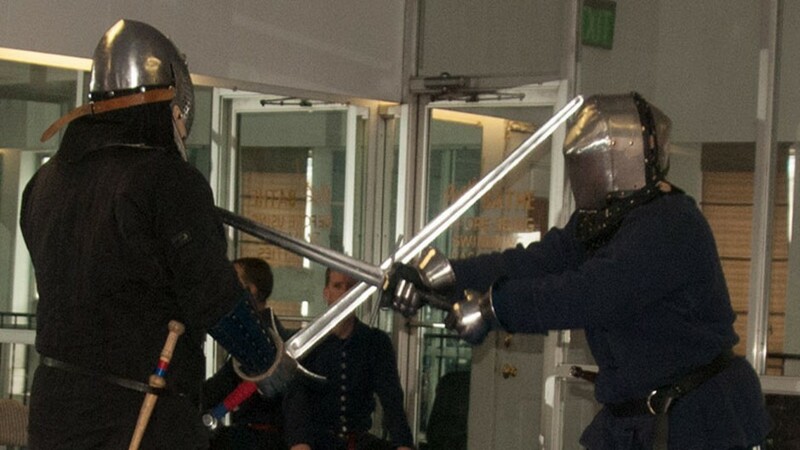 The Rocky Mountain Swordplay Guild is a modern school focused on the teaching of Historical European Martial Arts (HEMA), focusing primarily on the Italian traditions of the 14th – 16th centuries. The term ‘Historical European Martial Arts’ refers to the armed and unarmed traditions of Europe and her colonies that arose prior to the 20th century. Although many of these traditions can be documented back to the 13th century, most died out over the centuries, the victims of transformation into sports, the decline of the duel, and the mechanization of Western warfare. Fortunately, for over 600 years, generation after generation of Italian, English, French, German, and Spanish Masters at Arms recorded their methods in pictures and words. These treatises instruct students in unarmed combat, knife fighting, swordplay, the use of polearms, and mounted combat. Over the last two decades, a growing world-wide community of enthusiasts, martial artists, and scholars has been involved in locating these texts, translating them into modern languages, and reconstructing their techniques. 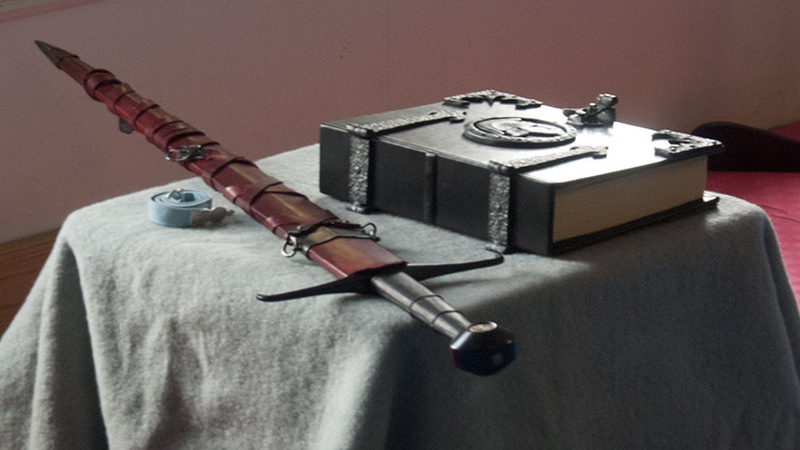 What they reveal are systems of personal defense as sophisticated as anything found amongst their better-known Asian counterparts, and a window into the world of the medieval knight and the gentleman duelist. We require every new student to participate in the Introductory Class (more details). The Introductory Class is held three to four times a year and runs 12 weeks per session. Students are provided special equipment that they’ll need so there is no up front equipment cost. The only thing that we require is a great attitude and loose fitting clothing. Our Introductory Class run on a regular basis. We’re located in Englewood (view on map). As a martial arts school dedicated to the proliferation and practice of Historical European Martial Arts, our principle focus is on the Italian traditions of the late Middle Ages, although senior students will also explore other traditions connected to and from this material. 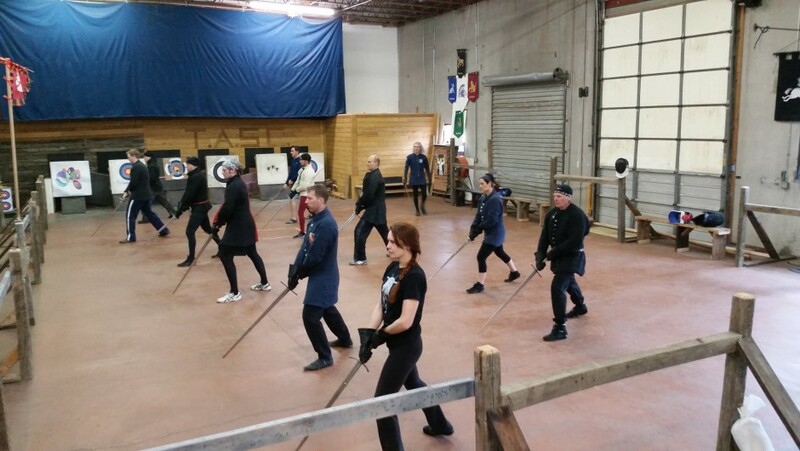 New students of the Guild train in grappling, dagger and counter-dagger fighting and wielding the medieval longsword (a two-handed sword, approximately 44″-54″ long). A great deal of time is spent developing an underlying understanding of body mechanics, universal, core kinesthetic principles and developing a ‘fighting mindset’. Close-quarter combat, in both its historical and modern application, is a particular specialty and focus of the Guild, as is applying the techniques on the ground, with or without weapons. The Rocky Mountain Swordplay Guild has a long history of practice and training in the Denver area, and has taken part in events across the United States. 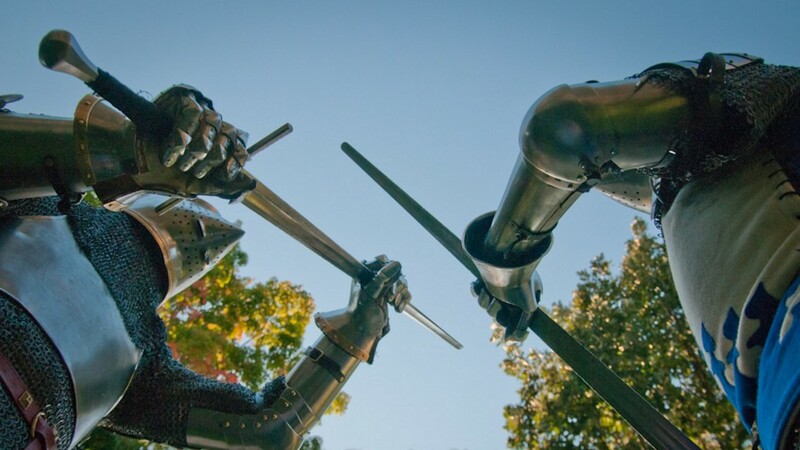 As a chartered daughter school of the Chicago Swordplay Guild, the RMSG is helping to interpret and transmit the art of arms to the worldwide WMA and HEMA communities. To learn more about our history look at this page.